Donate Now to SF Glens Evolution Youth Club! Our youth club SF Glens Evolution just announced their 2018 Donation Campaign! See how you can support. The end of the year is fast approaching and our youth club is on its way towards reaching their 2018 Fundraising Goal of $100,000. Through the generous support of our returning sponsors and donors, they have already raised $32,190. They are reaching out for your support as they aim to hit their fundraising target by Monday, December 31. Donate Today! 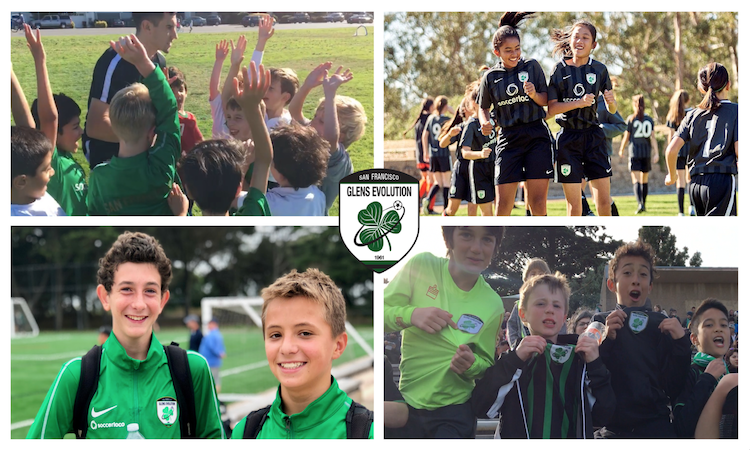 As San Francisco's largest soccer club, SFGE is proud to offer the broadest array of soccer programs in the city for boys and girls of all ages and skill levels. From Micro Soccer to Futsal, from Recreational to Academy teams, we provide everything from introductory instruction to high-intensity programs for players aspiring to play at the collegiate level and beyond. We pride ourselves in keeping our program costs below other comparably sized clubs. Your tax-deductible donation is instrumental in allowing us to continue providing the widest range of soccer programs at prices that are affordable and accessible to the San Francisco soccer community. Any donation amount is greatly appreciated and your support helps play a positive role in the development our players both on and off the field. San Francisco Glens Evolution is a 501c3 #45-3022817.